Just like any other exterior feature of the property, the patio is also exposed to the elements all year round. In the case of the patio though, frequent intended and non-intended use also affects its good looks. What does this actually mean though? What this means is that mould, discolouration, grime built up and other such are all issues caused by weather exposure. In other cases, household chemicals like bleach, or certain cooking oils can also stain the patio or make it look grimy. In many instances, the patio is also used as a repair pad for lawn mowers, hedge trimmers etc. 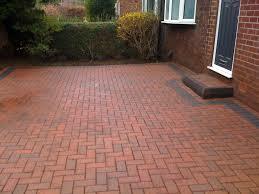 which can leak oil, fuel or coolant and stain the patio top surface almost permanently. 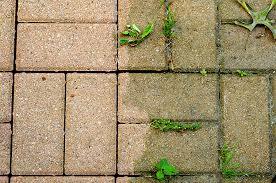 A worn and tatty patio is not only unpleasant to look at and use, but also depreciates your property’s market value and curb appeal. One way to clean the patio is to treat the surface with aggressive toxic chemicals and solvents and spend days on end in scraping and scrubbing all the gunk and grime off it. The other (in our opinion more sensible) way to restore the patio’s former good looks is to use our specialised patio cleaning service in Reading RG1 and have this valuable property feature looking clean and fresh in a matter of hours. The patio cleaning available in Reading RG1 is performed using professional grade pressure washing equipment as well as rotational scrubbing and polishing machines. Generally, we don’t use any chemicals unless there is need to pre-treat certain stains or blemishes. 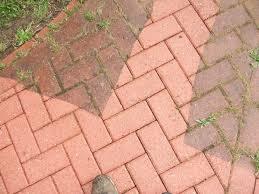 The cleaning process will restore the patio’s original appearance minus sunlight and mechanical damage. For best results and reduced cleaning time we recommend having the service done in relatively good weather. We cannot clean patios with compromised structural integrity as dislodged debris can cause damage or injury. The patio cleaning in Reading RG1 is reasonably priced and cost effective as you get a lot specialised cleaning done for relatively little money, and we also guarantee best possible results.